Sixteen years old teenagers from Lakia’s village high schools will become MDA volunteers, after completing the MDA’s basic first-aid training this week. The course focuses also on challenges faced by the Bedouin communities in the unrecognized villages: providing first aid treatment, directing ambulances to emergency calls, prevention of home accidents, etc. “We believe that this is an important project for the participants and for the entire community. 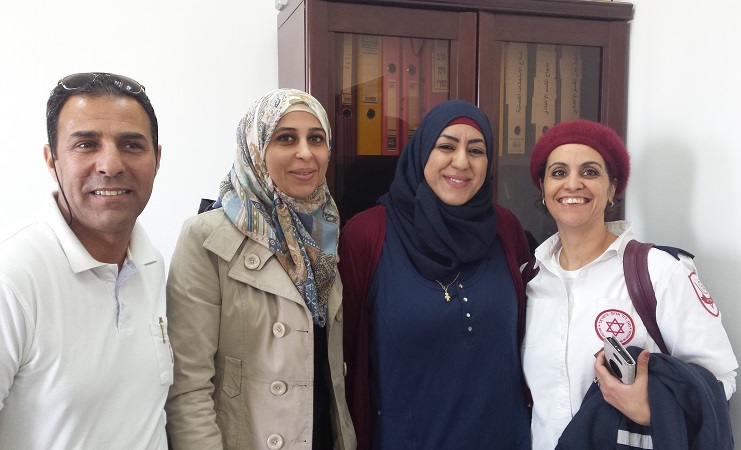 Having a personal experience of a loss of a child as a result of a home accident, it makes this activity even more meaningful for me”, said said Mousa El-Sana, the Director of “Ikra” school, who supports MDA in this course, together with his team. “The motivation of the participants is extremely high. We are planning to keep them interested, by providing them opportunities to volunteer in their community”, said Mr. Said Al-Finish, MDA Medic and Project Officer. 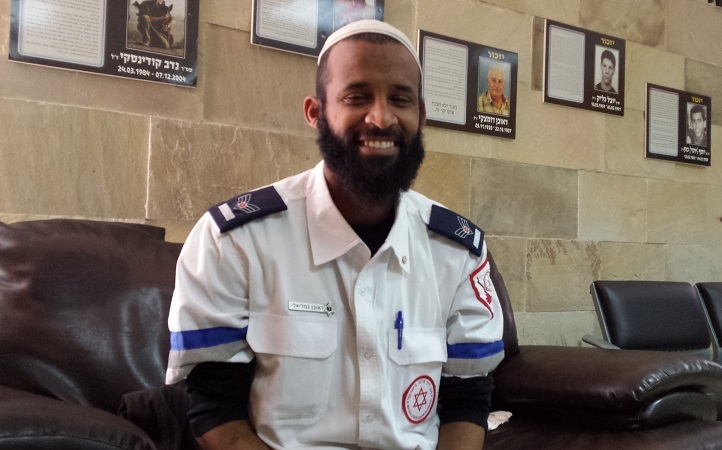 Said is a resident of Rahat and as part of his work with MDA, he implements various trainings on first-aid courses and prevention in the south of Israel. Among other activities, Said is proud of ambulances drivers courses held in Bear-Sheva and Rahat by MDA. He also praises the MDA’s distribution of first responder’s kits to doctors who live in the community, and the basic first-aid training for women in Segev Shalom. Said says that these activities have already shown results and saved lives. These activities in the south of Israel are part of the partnership between MDA and the International Committee of the Red Cross (ICRC) which aims at reaching a variety of populations and to strengthen MDA’s response in remote areas across Israel. Another example is MDA’s work in Kiryat Gat. Mr. Reuven Gamlieli, MDA Medic & Community Outreach Project Officer, trains and recruits volunteers from the Jewish-Ethiopian Communities in his city. Home safety and basic first-aid trainings for women are among these projects, as well as workshops for youth. “Teenagers are looking for a role model and for someone who gives them attention. I offer my help and support in any matter they need. I believe this can encourage them to take part in MDAs’ activities, which will eventually benefit the entire community”, said Reuven. These activities reflect the fundamental principle of Unity, which emphasizes the commitment to be accessible to all the populations in Israel, implemented by MDA. This principle is one of seven fundamental principles of the International Red Cross and Red Crescent Movement, of which MDA has been a member since 2006.